Putnam Juvenile, 2014. 333 pgs. Young adult. Theo is 17 and wants nothing more than to be a professional ballet dancer. She is recovering from anorexia as well as dealing with her best friend being kidnapped when they were thirteen. When he returns, she has to accept realities that she pushed aside and she has to choose what is best for her. Theo has so much to deal with and in her stubbornness and desire to do right as well succeed in dancing, the reader is captivated by her sad story. Brandy Colbert has written a heart wrenching, raw, realistic teen book that has stayed with me ever since I finished it. 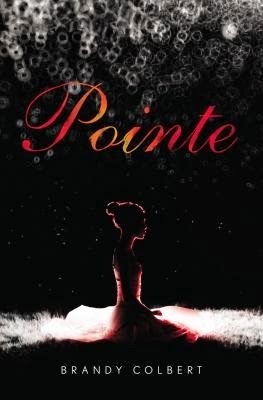 She writes from a unique perspective of an African American teen that wants to be a professional ballet dancer. The descriptions of dancing, of the intense try outs, of real issues like anorexia, bad boyfriends, and even a kidnapping create an intense read. There is some language and sexual content as it focuses on Theo's past and need to come to terms with it. Worth the read to see a strong African American female character as she grows through out the book.